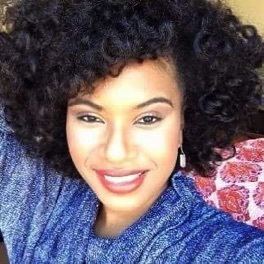 Nia Savoy, the muse of Songbook South and our first regional Michael Feinstein Songbook Academy winner, has won another major competition Friday, March 23rd at the Kreeger Theater in Washington D.C. Sponsored by The National Society of Arts and Letters and The American Pops Orchestra, Savoy was one of 10 finalists, chosen from hundreds of applicants, who performed with a Jazz combo before a live audience judged by a variety of entertainment industry luminaries: Jim Caruso (Birdland Jazz Club), Baayork Lee (Tony-winning Broadway Legend), Kelly d’Amboise (Signature Theater and APO Resident Director) and Robert Pullen (Emmy nominated Producer and owner of Nouveau Productions). Savoy treated the audience to stunning performances of “Solitude” by Duke Ellington and “Cash for Your Trash” from the musical Ain’t Misbehavin’. With her first place win, she received a $500 cash award and has been guaranteed a mainstage performance in the 2018-19 American Pops Orchestra season. Miss Savoy is not new to the national winner’s circle. 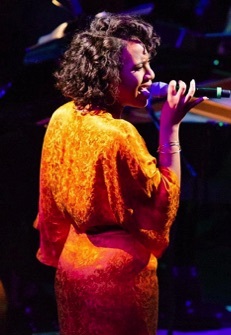 In 2015 she won the national Young Arts Jazz Vocalist award that led to her being selected by Mikhail Baryshnikov to appear in a production he directed in New York City. 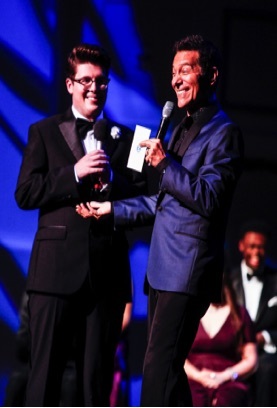 In 2014, Savoy won the national Great American Songbook Inspiration Award at the Michael Feinstein Great American Songbook Initiative Vocal Competition held at The Palladium Center for the Performing Arts in Carmel, Indiana. Miss Savoy’s convincing and expressively forceful performances continue to bring her considerable acclaim from industry professionals that have led to a flood of performance opportunities still pending as of the writing of this notice. Shreveport's Own Soon To Be Broadway Super Star! 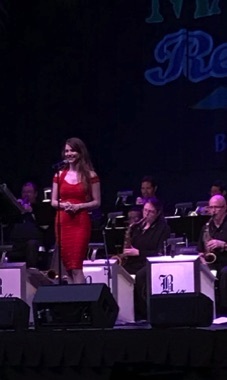 And, oh yes, she was amazing with The Bill Causey Big Band on April 17th at the Paradise Theater of the Margaritaville Resort Casino! More info on her bi-coastal project and her other successes will be forthcoming! 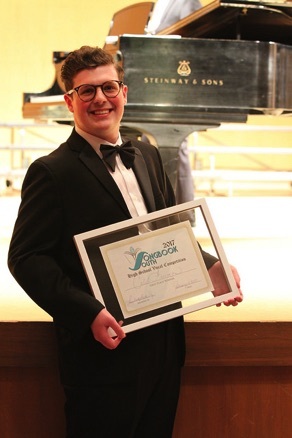 We couldn't have been happier when our first Songbook South High School Vocal Competition winner February of 2017, Caleb Freeman, went on to win 2nd in the nation (The Songbook Celebration Award) at the Michael Feinstein Songbook Academy High School Vocal Competition in Carmel, Indiana in July of 2017. 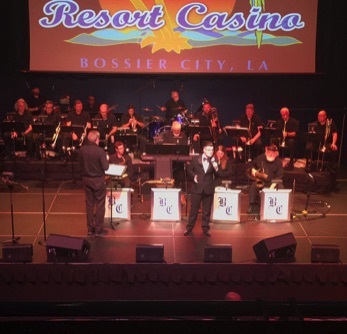 He returns to Shreveport next month to sing with the Bill Causey Big Band on May 22, 2018 at the Margaritaville Resort Casino 6-8:30 p.m.
FROM OUR STAGE TO LA! She's also been filming many commercials, modeling and working on various other projects while she has been away from her dear home of Shreveport. No surprise. We always knew she was fabulous! 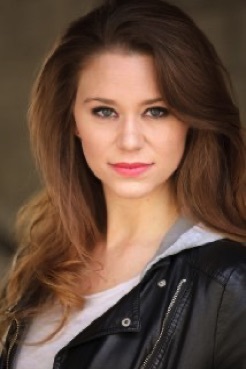 We will keep you posted on all of her new projects! CALEB FREEMAN AMAZED AT MARGARITAVILLE! HE'S COMING BACK! 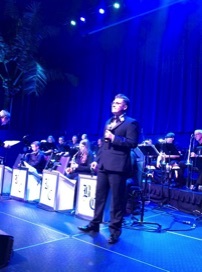 Award-winning vocalist, Caleb Freeman, performed with The Bill Causey Big Band in the Paradise Theater at Margaritaville Resort Casino, Tuesday, May 22nd. He performed a variety of big band hits from The Great American Songbook. His set lists included Oh, Look At Me Now, Sway, A Foggy Day, Summer Wind, The Good Life, and Feelin' Good, just to name a few. The audience was so impressed with his nuanced vocals and powerful performance they gave him a standing ovation at the end of his last set. The band was so impressed, they asked him back for another appearance immediately following the show! PLEASE JOIN US IN WELCOMING CALEB BACK FOR HIS SECOND BIG BAND APPEARANCE! DON'T MISS THIS AWARD-WINNING PERFORMER SINGING THE GREATEST MUSIC OF ALL TIME! WHAT'S NEW WITH ISABELLA FOWLER? SHE'S AN AWARD WINNING ACTRESS, NOW! 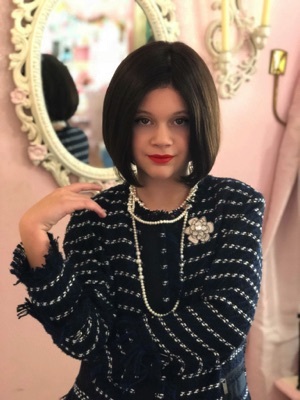 Iabella Fowler is racking up the awards for her recent performance as Young Coco Chanel in the movie Famous Little Girls. At the Mindfield Film Fest she won Best Supporting Actress, and The Five Continents International Film Festival awarded Isabella Special Mention Young Short Film and Special Mention Team Performance Short Film. 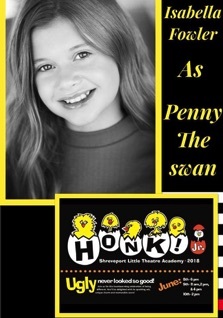 Isabella appeared in the local Shreveport Little Theater production of HONK, Jr. as Penny the Swan last Summer while home between major projects last Summer. Lately, she booked a SAG role on Disney Channel! Isabella Fowler's hard work and dedication are paying off. 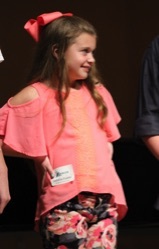 Isabella has done feature films and worked on Nickelodeon, yet this is her first role for Disney. She will be walking the red carpet in Hollywood again for her show "Any Minute Now" which has gotten selected for airing in the Hollywood Reel Independant Film Festival. We are so proud of her tremendous accomplishments and know there are more to come in the future! 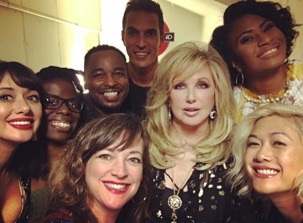 Is a busy woman these days, gracing the stage for the American Pops Orchestra in many of their performances after her win of their NextGen vocal competition in 2018, including one show with actress, Morgan Fairchild. She has appeared in several musical performances in and around Washington DC in shows such as Mamma Mia and Aida and just signed a contract to portray Shug Avery in Alice Walker's The Color Purple at Riverside Center of the Performing Arts in March and has several other performances slated through September 2019 . In May, Miss Savoy graduates from Howard University and will go forth to conquor the theater and cabaret scene. She is working on multiple exciting offers for future engagements. Has been incredibly busy persuing his Music Theater degree at Wichita State. He has played Seymore in Little Shop of Horrors and Horton in Seusical the Musical at WSU. Following his Feinstein Songbook Academy roots, he performed (February 2019) for the Joplin Little Theater's Benefit Concert called "With A Song In My Heart", and for the first time,with WSU Jazz Arts as a featured vocalist. 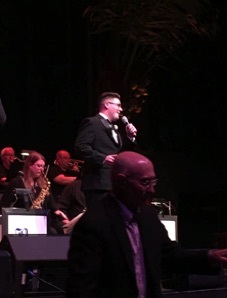 Caleb makes his concert debut with Michael Feinstein at The Palladium in Carmel, Indiana, April 13, 2019.